The idea that your dying or recently deceased body could be frozen in the hope that some future technology could revive you is no longer science fiction. It is now something people will pay handsomely for – as the recent court ruling that allowed a 14-year-old British girl with terminal cancer to have her remains cryogenically frozen and stored indefinitely in a US clinic has shown. While the possibility that even future medical technology could revive anyone from death is moot, in the here and now the practice of cryopreservation raises all sorts of novel legal issues. Freezing a corpse keeps its physical structure intact – and there have been stories of grieving relatives preserving a loved one’s remains in this way. Long-term cold storage of the dead in purpose-built refrigeration facilities is permissible, although DIY preservation in a freezer at home is not such a good idea and inevitably prone to electrical or technical failure, as was the case for a frozen French doctor and his wife who unexpectedly thawed. 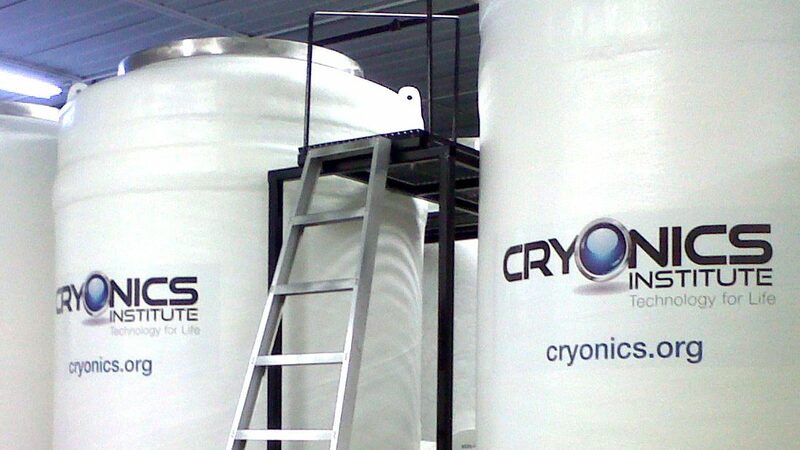 Cryonics takes this to a whole new level, seeing freezing as an interim solution. A speculative technology, it uses extremely cold temperatures of –196°C to preserve human remains until a medical cure is found for whatever caused death in the first place. At this point, so the theory goes, the corpse can be thawed and reanimated. Sometimes the whole body is frozen, or sometimes just the person’s head – with the intention of reconstructing the individual from their brain. However, the science itself is at least suspect. Cryobiologist Dr Arthur Rowe likened it to “believing you can turn a hamburger back into a cow”, and the process raises all sorts of ethical issues. In some European countries, cryonics is not a lawful means of dealing with the dead. Only burial, cremation and donating to science are allowed in France, for example, and the son in the French case above had to go to court to win permission to carry out his parents’ last wishes. There are no commercial cryonics facilities in the UK so the question of its legality doesn’t arise, but were they introduced, they’d have to be licensed and regulated by statute. Until then, those wishing to be cryogenically preserved must be transported elsewhere, most likely to the US. In the case of the 14-year-old girl, whether this could be arranged and whether it was legally permissible were two of the key issues of the court ruling. In the UK case of the 14-year-old girl, the judge ruled that the mother should be allowed to make the arrangements for her daughter’s body to be preserved. But in doing so, the judge stressed that the ruling made no comment on whether cryonic preservation is right or wrong. For the judge, the girl’s request did not appear to be illegal, and there was no prohibition on transporting her remains to the US. However, the practical arrangements around preparing the body very soon after death (cryonics has an optimal timeframe for the initial freezing process) and allowing the stand-by team from Cryonics UK access to the hospital and its facilities posed legal and ethical issues for the NHS. In the end, this particular hospital trust was willing to co-operate, but the judge made it clear that a different hospital or medical facility might not be so accommodating, and that this decision did not represent a precedent for other cases. If science eventually allows cryogenically preserved bodies to be successfully thawed and reanimated, what would this mean? At a human level, there is the obvious issue of how an individual would cope with being revived decades, more likely centuries, after their death. This was one of the father’s objections in this recent case: that his daughter would be revived alone in the US, aged 14 and with no friends or relatives around. How much brain content would remain intact, and would the person be the same as they were before? And as microbiologist Cedric Mims put it, would we really want a world “filled to capacity with the thawed remnants of previous generations”? From a legal perspective, the problems are obvious – starting with the fact that the person has already been declared legally dead. How would, how could, the law reinstate them? Could that person reclaim assets that they owned in life, but had passed to family members on death? Could inheritance laws be undone? And if the person’s spouse is still alive but has now remarried, would that marriage still be valid when the former partner returns from the dead? Even before this happens, what is the status of the corpse during its time in the deep freeze: does it have any legal rights? How long should a frozen corpse be stored, and would the individual’s family have the right to thaw or destroy the corpse without reanimating it? The issue of cryonics notably poses more questions than it provides answers for. But given how unlikely a successful reanimation seems, it will be some time yet before they need answering.